Heavyweight construction for use in high traffic areas. Crush-resistant carpet surface traps debris and moisture. 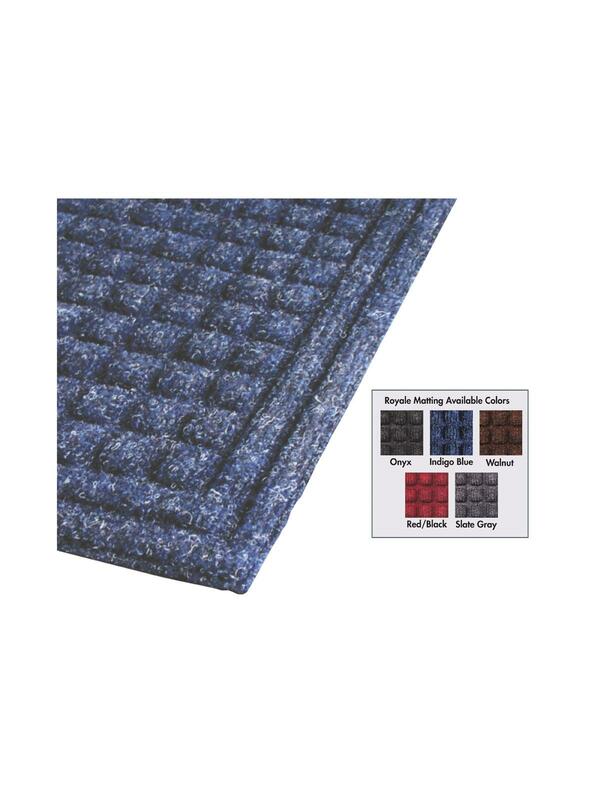 Heavyweight recycled rubber backing minimizes movement on carpet and hard floor surfaces. 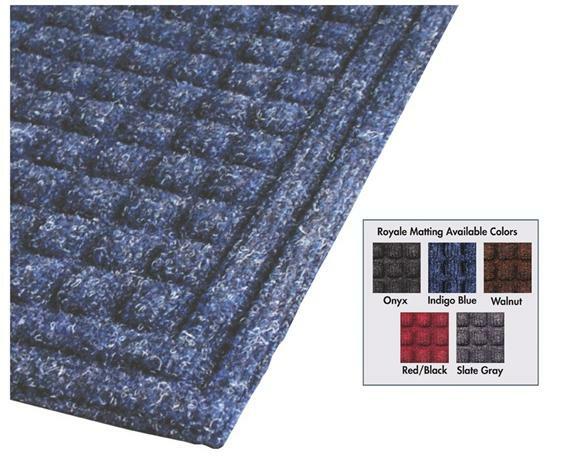 The dual fiber needle-punch carpet dries quickly, resists staining and fading, and the specially designed bi-level surface effectively scrapes debris from passing shoes. Double border keeps debris and moisture off the floor. Available in Onyx, Slate Gray, Walnut, Indigo Blue, and Red/Black. FOB Shipping Point.